Latino digital influencers are not only about beauty and food, although those are relevant subjects. There are countless online writers who devote entire blogs to the specific cause they are most passionate about. 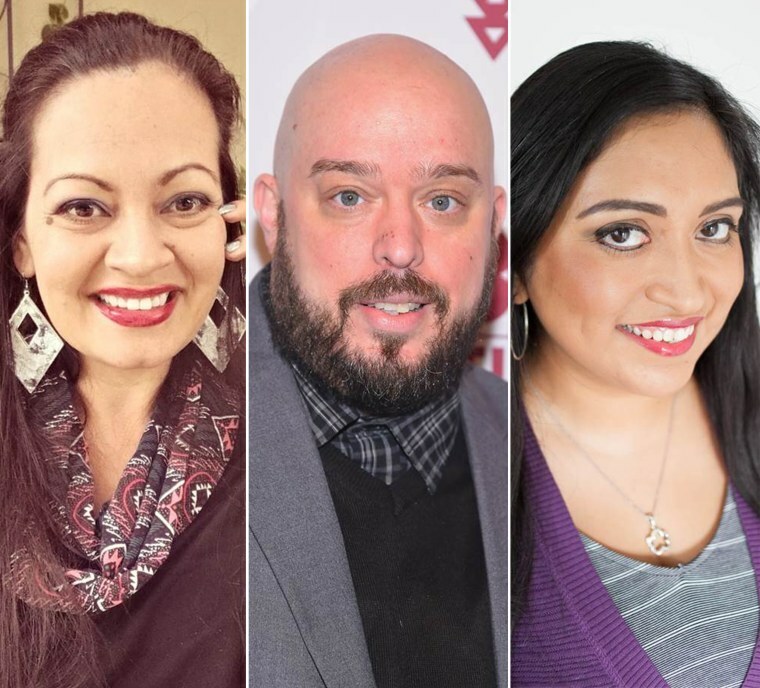 Here are eight Latinos who use their digital platforms and social media outlets to raise awareness about different issues. They shared with us not only what they are passionate about but also gave insights for the benefit of readers who may want to become online advocates too. Eliana, who is Bolivian American and based in southwest Florida, blogs about and advocates for Hispanic parents raising children with Down syndrome, both in English and Spanish. What makes her a specialist? She is the mother of two children born with Down syndrome. “My goal is to normalize the perception of disability while creating more inclusive communities that celebrate abilities instead of focusing on limitations,” Eliana says. She uses social media to raise awareness of Down syndrome by sharing educational content and the story of her own family. Her social media channels generate discussions that invite people to reflect on what is possible for children who may have once been told they had a disability. Melanie has been blogging for several years as a strong advocate for access to quality education for minorities. The Mexican-American blogger based in San Antonio, Texas has also worked to introduce more Latinos to our national parks and, because she didn’t grow up seeing someone like herself in books or on tv, she is a proponent of seeing more Latinos represented in entertainment. “All three of these causes have shaped who I am today,” Melanie says. Melanie knows that moving people to take real action takes time. Lisa has a young son with autism, which is what propelled her to share her story online and become an advocate for parents of children with autism. “When my son, Norrin, was diagnosed with autism in 2008 I felt so lost. None of my friends had a kid with autism and there wasn’t anyone I could go to for advice or guidance,” says Lisa, who is of Puerto Rican origin and who lives in the Bronx, New York. She did extensive research but still did not find the support she sought online. Lisa says that Latinos don’t really like to talk about autism or any other kind of disability. Lisa is a seasoned writer with an MFA in creative writing, currently working on a memoir. But she says writing about a cause is entirely different. Juan is an ambassador for affordable and nontraditional forms of education through the arts, which he has implemented through cultural showcases for the last nine years. His focus is on the values of expression, mentorship, creating and sharing resources, and building an involved cultural community. A substantial part of his work involves raising funds and online community building for local causes including educational tools, health initiatives and holiday gifts for families in the underserved neighborhoods of New York City. He also fights online for proper media representation for the Latino population as a whole. Jeannette is an advocate for several causes that touch her personally. For many years she has been actively supporting Shot@Life, the UN Foundation, St. Jude Children’s Research Hospital, the American Heart Association, ONE Women and Girls, and other organizations that fight child hunger and domestic violence. She also cares deeply about health issues, such as skin cancer and mental health. Her most beloved cause is Blogust, which has unlocked thousands of vaccines for children in need via Shot@Life, the World Food Programme and St. Jude. Cristina is a strong advocate for a healthy and active lifestyle to prevent and treat illness. When she had her two sons, she was not in the best shape of her life. But in an effort to improve her health, she took up sports and now blogs about her journey on her website. “When I began writing about my journey to health on TriathlonMami, I had a sense that this was not about me. I had my personal journey but it kept bumping into other ones: bike safety, fundraising, childhood health," says Cristina, a Miami resident who was born in Brazil to Cuban parents. "I feel as if I have grown up with my blog.” Although she also advocates for a healthy lifestyle in the community where she lives, social media has helped her amplify her message. Often stigmatized at work, in their communities, and even in their families, single Latina mothers face battles that can make it difficult for them to care for their children, says Migdalia, who is Puerto Rican and lives in Manhattan, in New York City. That stigma toward single Latina moms has brought Migdalia to her other causes: food access and education, because all moms want to be able to provide the best for their children, yet theycarry that weight alone. Migdalia is grateful for social media for many reasons. George Torres’s flagship website, SofritoForYourSoul.com (founded in 1997 on the Yahoo / Geocities platform) is the longest running online magazine that promotes the evolution of Latino culture in the United States. Its mission is to share the spirit of our heritage through art, fashion, music, dance, traditions, and emerging trends. It strives to offer Latinos a chance to reconnect with their heritage and showcase Latino culture to the rest of the world. In order to help amplify the voices of so many causes pertaining to the Latino community, George and his team use social media. “Via our collective social channels we have been able to champion causes like the fight against Diabetes, assisting in the social reach for the national Puerto Rican Day Parade and creating conversations about the environmental crisis at Caño Martín Peña in Puerto Rico."